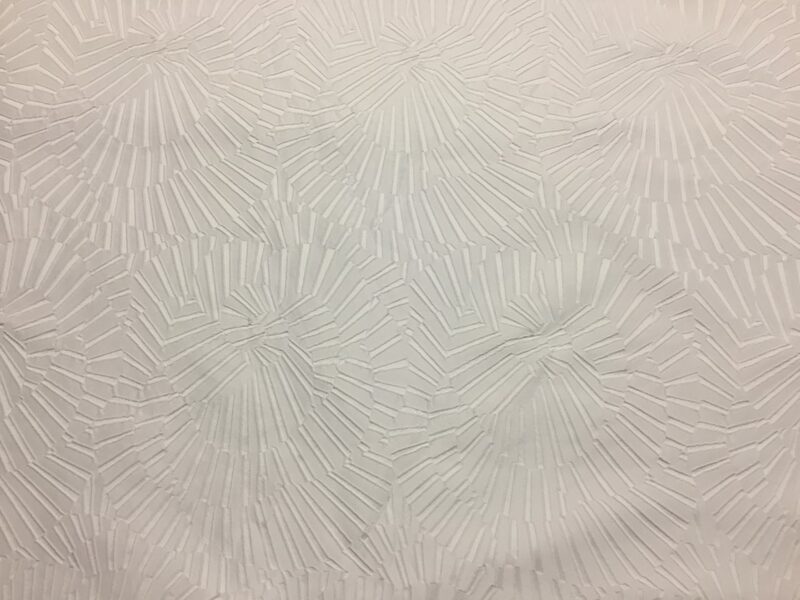 Silk Blend Jacquard (80% Silk/20 % Polyester), a delicate cloque pattern in Silk White, that runs down the panel in a classic floral motif. Medium weight, airy hand, drape. A superior quality, 56″ wide. Made in Italy. 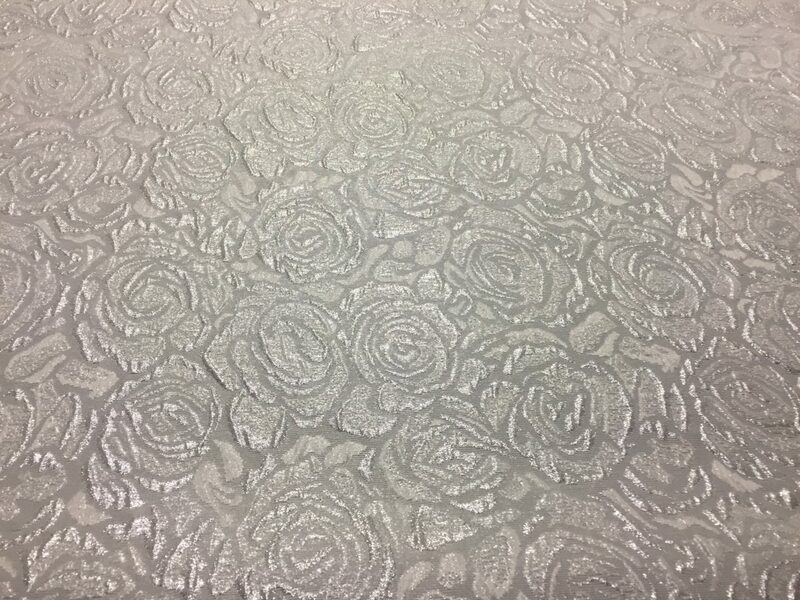 Perfect for a jacket, suit, dress, gown, skirt or top, wedding dress or really any bridal wear – for the most formal occasions. The panel measure 1 yard 2o inches. A 2 1/2 Yard Piece, its one full panel and virtually another full panel but it is cut off on the end – ALL USABLE.